Hi folks. I’m Paul. I’m a front-end developer who loves the web. I’m always thinking a lot about how to make you more productive with tools that improve your workflow help you make slicker, sexier, mobile web sites and webapps. I work on the Google Chrome team focused on Developer Tooling. Chrome DevTools and everything else Chrome can do to make you a productive web developer. I’ve developed tools like Modernizr, Yeoman, CSS3 Please and HTML5 Boilerplate, curated HTML5 Rocks, and co-created projects like HTML5 Please, mothereffingtextshadow, mothereffinghsl, Move the Web Forward, Mothereffing Animated GIF, W3Fools, chromestatus.com, HTML5 Readiness, Front-end Coding Standards, Type Rendering Project. Oh and I used to host the amazing yayQuery Podcast. I’ve long loved music and kept the Aurgasm music blog up for 10 years. Social: Twitter | Google+ | paulirish.com. I am not looking for a new position, but if you’re aching to read more.. here’s my resumé. 2012.02.16 mothereffinganimatedgif.com conceived of, developed and launched in 24 hours with an ad-hoc (and awesome) lazyweb-requests team. 2012.02 : HTML5 Boilerplate 3.0, Modernizr 2.5, html5shiv 3.0. Managed all these releases. 2012.01.12 : HTML5 Please launched. 2011.08.17 : Published the comprehensive guide to How Browsers Work written by Tali Garsiel. 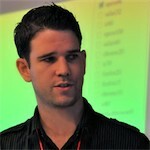 2011.03.31 : Released matchMedia.js polyfill for media query testing. 2011.03.21 : Launched HTML5 Boilerplate 1.0, with support for six web servers, beautiful and comprehensive documentation, and a site optimizing build script. 2011.02.21 : WHATWG HTML5 Spec of developers launched. I worked on the search and consulted on the design with Ben Schwarz. 2011.01.05 : Launched Mothereffinghsl.com, to promote color choosing with HSL instead of RGB. 2010.12 : Launched the #html5 freenode IRC channel with involvement from Mozilla & Opera. 2010.09.26 : Popularized the term ”polyfill” with presentations and resources. 2010.08.10 : Launched the HTML5 Boilerplate with Divya Manian, a set of templates for web developers collecting best practices and making an ideal project starting point. Very actively maintaning. 2010.06.07 : Started as a Developer Programs Engineer at Google on the Chrome team. 2010.05.10 : Proposed Webfont Obfuscation: An interim solution? to the webfont community with Ethan Dunham, to shortcut waiting for WOFF adoption by adding similar protective measures to TTF. 2010.04.30: Published Isobar’s front-end coding standards, after three years of iteration. 2010.03.09 : Launched css3please, to make writing css3 easier. Initial prototype by Jonathan Neal, design by Boaz Sender, code from community. Maintained regularly. 2010.01.26 : Produced six jQuery 1.4 Hawtness videos for the 1.4 launch event. 2009.11.29 : Initialized the Type Rendering Project, to promote better education around webfont rendering quality. 2009.10.07 Coined the term ”FOUT”. 2009.09.24 : Joined the Modernizr project team after rewriting the library. Now Lead Developer; actively developing. 2009.09.12 : Presented two talks at jQuery Boston Conference, on webfonts and jquery performance. 2008.12 : Made JSONP-DB with Adam Ribaudo, out of a need for a 100% client-side, cross-domain datastore API. Proposed, defended and saw the inclusion of HTML5 data-* attribute support in jQuery. Helped get the Google Chrome Frame/IE=Edge header into Rails core. Somewhat project managed the IEPP (HTML5 Shiv) v2 release and distribution . Alexander Farkas was lead dev.